Having a section devoted to Antique & Classic Boats blurs the definition of pleasure craft, because most of the boats in that category are also pleasure craft. Here we are referring to those that tend to be made from more modern materials and may or may not yet be antiques. 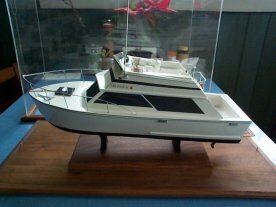 These include fishing boats, cruisers, trawlers, sailboats, runabouts, ski-boats, motor yachts and other vessels designed for leisure. 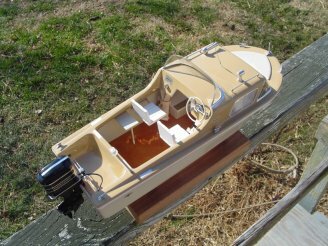 Many of these boats are made from a myriad of materials that have only been available within the past twenty to forty years. Newer design techniques using these materials have allowed the creation of boats with previously unheard of curved surfaces, finishes that require substantially lower routine maintenance, significantly increased strength to weight ratios, greater performance and better use of space. 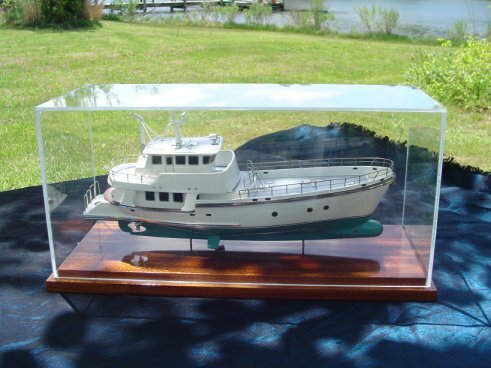 The Nordhavn 62' ocean going motoryacht is about as nice as you can get. Powerful, designed to take the roughest seas with its bulbous bow and stabilizers it is not only a workhorse, it is beautiful. 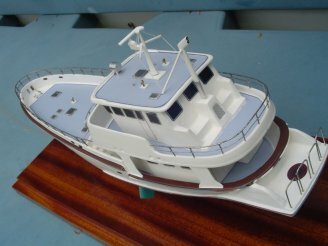 Not only can it go anywhere in the world, but it is a true "live-aboard" vessel with all the appointments of a lavish home. 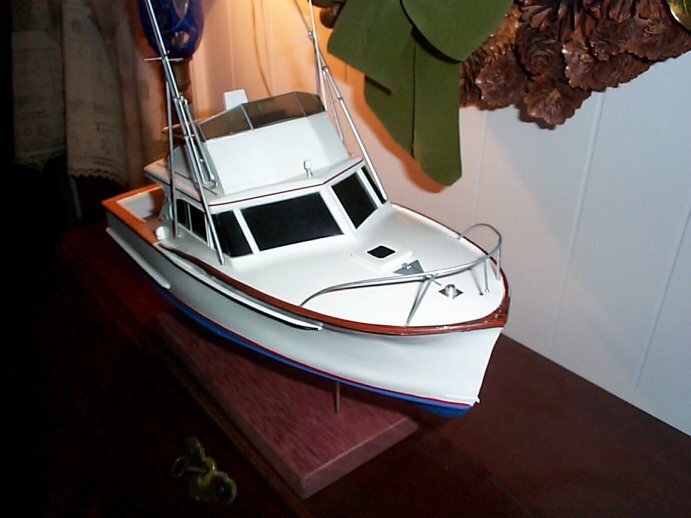 Sport Fishermen are found in virtually any port that has access to open water. 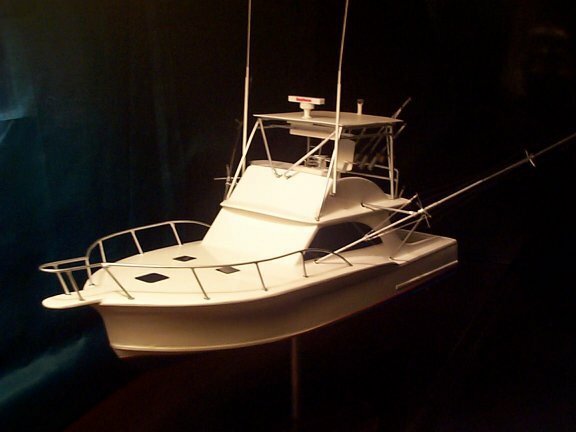 Their hull design allows them to slice through rough seas and move quickly offshore to where larger game fish can be found. 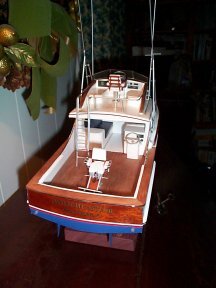 Often elegantly appointed inside, they are also fine boats for cruising. 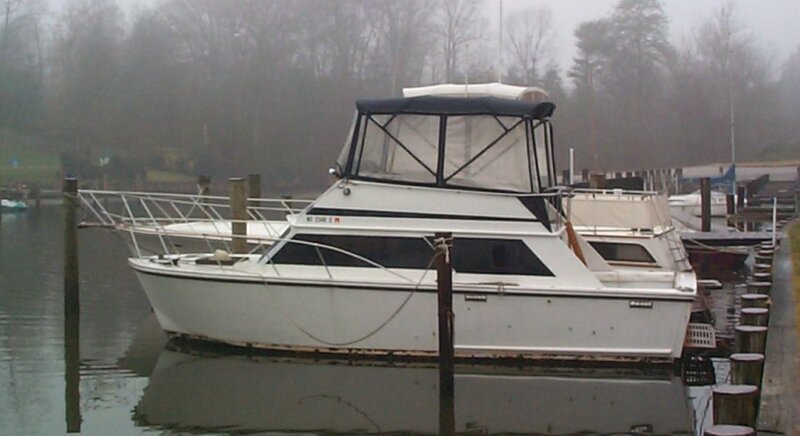 Various regions lay claim to their versions of this style, notably the Hatteras area of North Carolina's Outer Banks and the Barnegat Bay area of New Jersey. 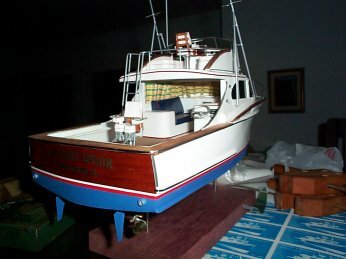 This model is only 12" LOA. 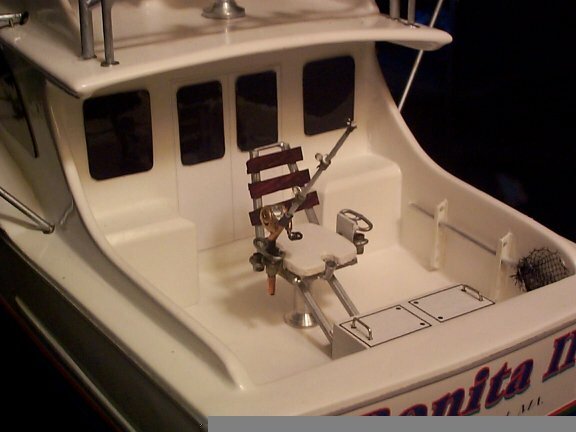 Its features include: full outriggers, fighting chair, rocket launchers with fishing rods, bait box, radar, net, boathook, gaff, bow rail and several other items. The guy wires on the outriggers are not much thicker than a human hair. 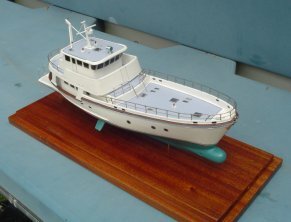 This particular model was commissioned by Universal Studios and can be seen in Osaka, Japan. 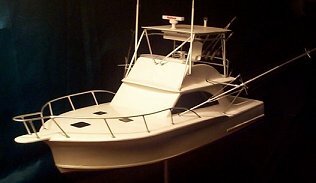 There are many great makers of Sportfishing boats. There are probably none more respected than Rybovich; a family that has been in the business for a long time. In fact, many other designers and manufacturers often get requests to have helms, sheerlines and other aspects of their boats to be "like those on a Rybovich." Indeed, their helms are distinctive, with controls nicely balanced on a podium style helm. 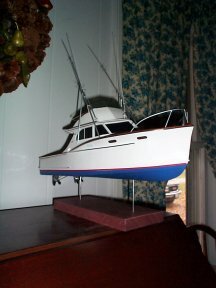 "Camelot" - Willard 30' Trawler Model 12"
I really like the design of this boat. 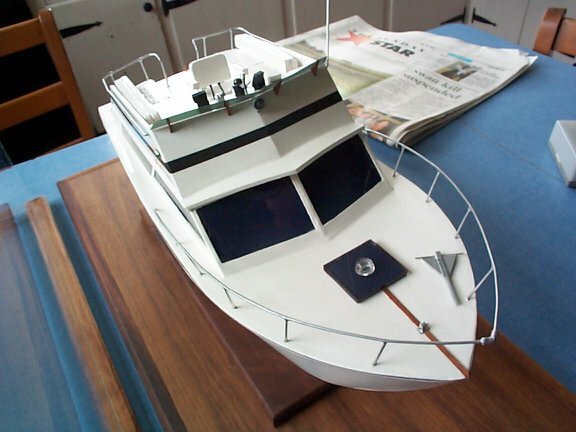 It seems very well laid out for a 30' vessel, with all amenities one could want for an intra-coastal sojourn. Because the boat seems to have such a nice appearance, well-rounded underneath, sporting a California style flybridge, the colors and teak very well balanced, I decided to keep the overall look simple and highlight these factors. The design for W.F. Cosby’s "Snipe" was published in Rudder Magazine in 1931. 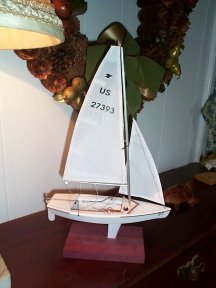 Since that time it has become one of the most popular small sailboats in the world. There are many variations in construction materials and details used by different boat makers, but the essence is the same. Identifiable by the Snipe shape on the main-sail, they are seen virtually anywhere that small boat regattas are held. There are Snipe Clubs from Denmark to Argentina. 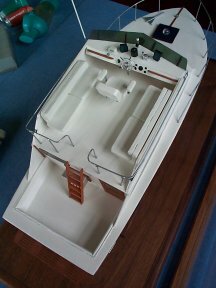 This Revel-Craft was also available with a fly bridge. Although the hull has a lapstrake design, it is made of fiberglass. 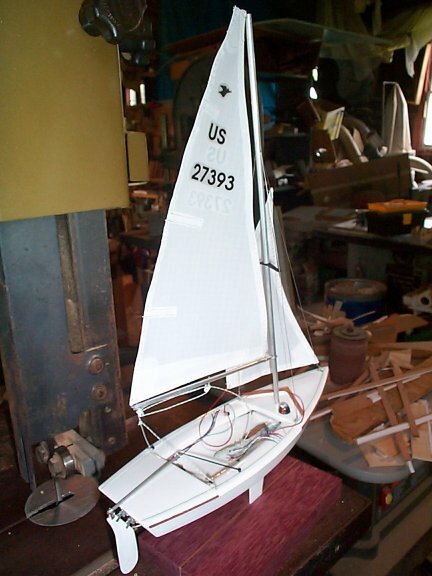 The strakes help to strengthen the hull, acting like corrugation in a cardboard box. 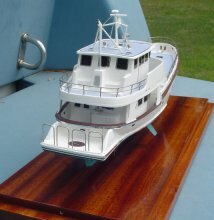 There are many countours, gutters and other shapes molded into the deck and pilot house roof. 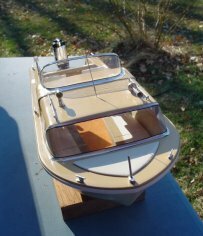 The style, despite the use of newer materials for its time, is a hold over from early '60s cruisers, with its squared lines and "brow". This is a very interesting boat. It came as a kit and was built by the owner. Generally kit boats connote something under 20'. Note that there are no compound curves anywhere on the boat. Also, all angles are 45 or 90 degrees. The result is a boat that could be made from plywood in sizes and shapes that could be shipped long distances. 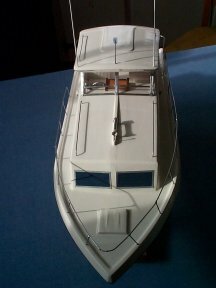 It is a good cruising boat. This is an example of a boating phenomenon that occurred starting in the late 1950s. 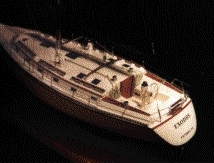 The era of fiberglass trailerable cruisers. 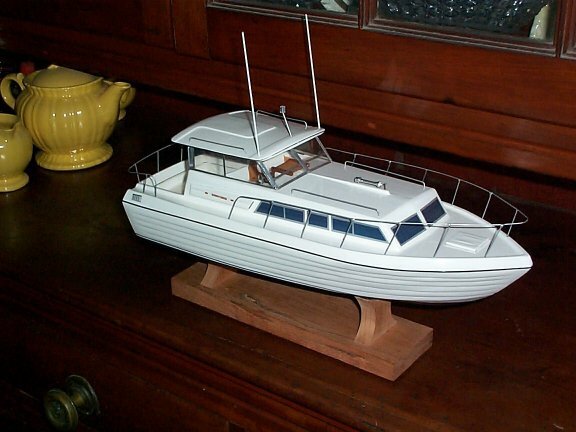 They were small, easily manageable, affordable and did not require a slip or mooring. They were perfect for a weekend at the lake. 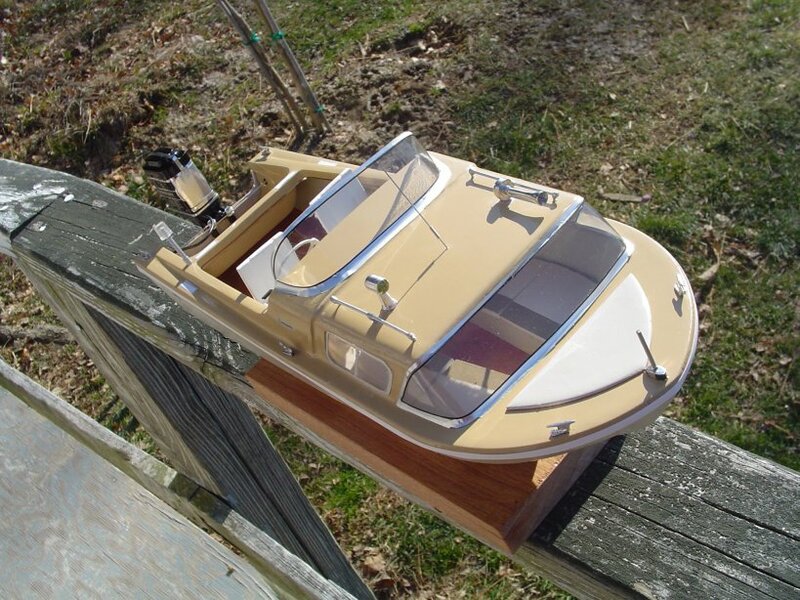 The Shell Lake Boat Co. made solid utilities, runabouts and small cruisers like this one in Shell Lake , Wisconsin. 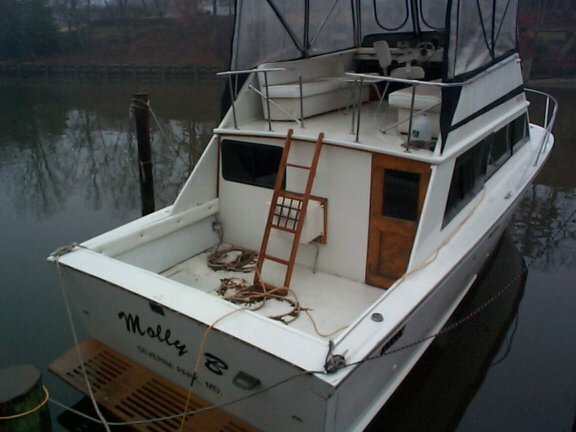 My understanding is that this boat has always been and is still working perfectly. How many other boats can you say that about from 1961? 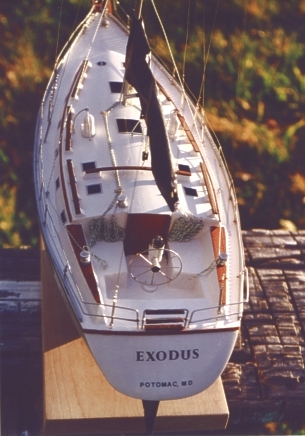 "EXODUS" Caliber 40' LRC Model 18"
I wish that I could get better scans of this model. The wheel has eight spokes. The compass in the binnacle is acrylic and there is a compass rose inside. 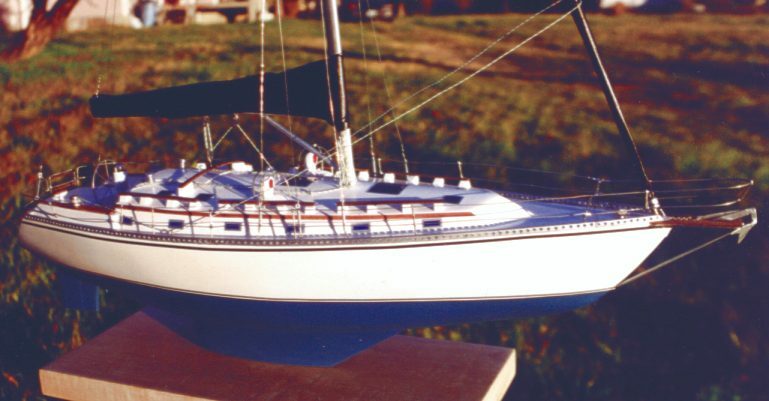 The top of the mast features an anemometer and wind-vane. The air-ports are red inside. 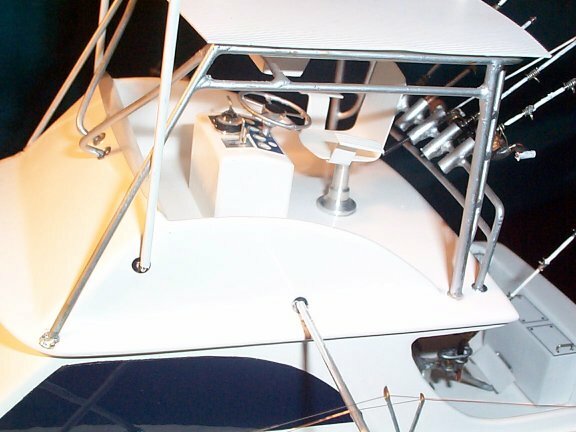 There is extensive railing and rigging throughout the model and you can see the rope coils on the bulkhead of the cockpit. "Sand Bill" McQuay 36' Custom Cruiser Model 20"
The Sand-Bill, unbeknownst to my customer at the time, was built in the '60s, about 500 yards from my shop. The irony is that my customer, who was ordering the model for his father's birthday, was calling me from ninety miles away. At the time I didn't know where he was, nor did he know where I was. 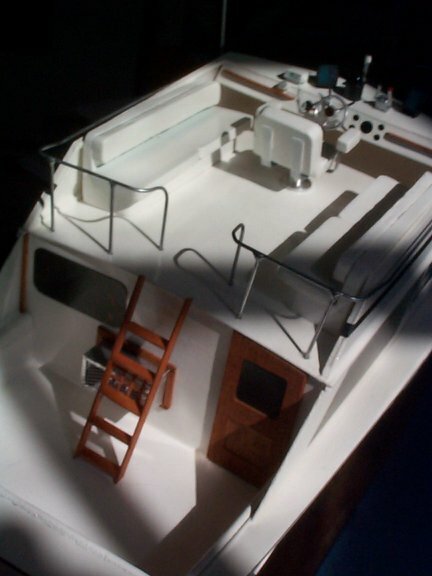 It became a very special boat to me, not only because of the irony that I should get the order in this way, but because of all the things I learned about it while taking dimensions. It was built by S.T. McQuay & Son of Wittman, Maryland. 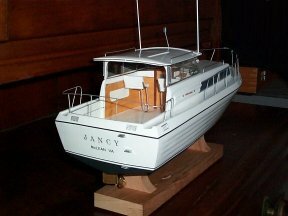 The son, well known boat builder Dave McQuay, is the current shop owner and had done a significant part of building this boat. 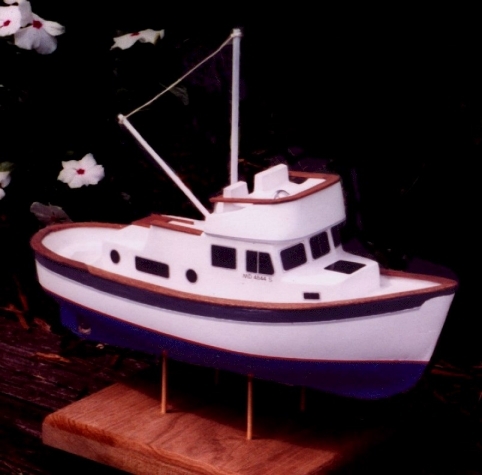 Let it suffice to say, I learned enough from him to wish I had a boat built like this one. 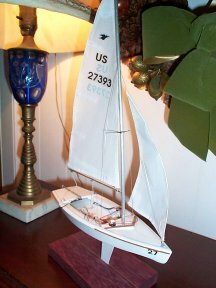 There was also the danger that my customer's father might find me on the boat, which almost happened a few times. If you want the full story, give me a call. 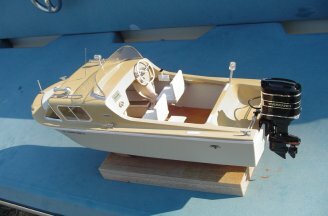 The model has many interior features including: perko folding aluminum and grey vinyl seat, wooden ships wheel, two radios with mics and coil cords and various instrumentation. The exterior features: three 16 sided bollards, operating door, various fishing rod holders, and a heat exchanger under the hull, to name a few things. Because the owner of the model graciously lent it to me to display at the 1998 Wooden Boat Show, I made him some life-rings with the boats name on them and his yacht club Burgee. Because of monitor resolution and prohibitive file size restraints, it is difficult in some cases to adequately present details of these models. If you would like more information please contact us. 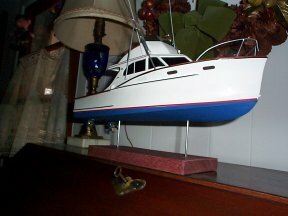 All Model Designs and Photograghs on this page are Copyright 1998 - 2007 by John Into. All rights reserved.